I’ve been hunting 13 years and finally had a chance to harvest a buck. I had started to get down early that day because it was raining on and off and windy and I hadn’t seen any movement. About 5pm I had some does come in and then more started coming out of the brush in front of my stand. I was just watching them when I saw the buck emerge straight ahead and I was frozen. We had only got one picture of him on our camera and that was at night a week before. He walked right out and stood broadside, not seeming to pay attention to any of the does or anything. 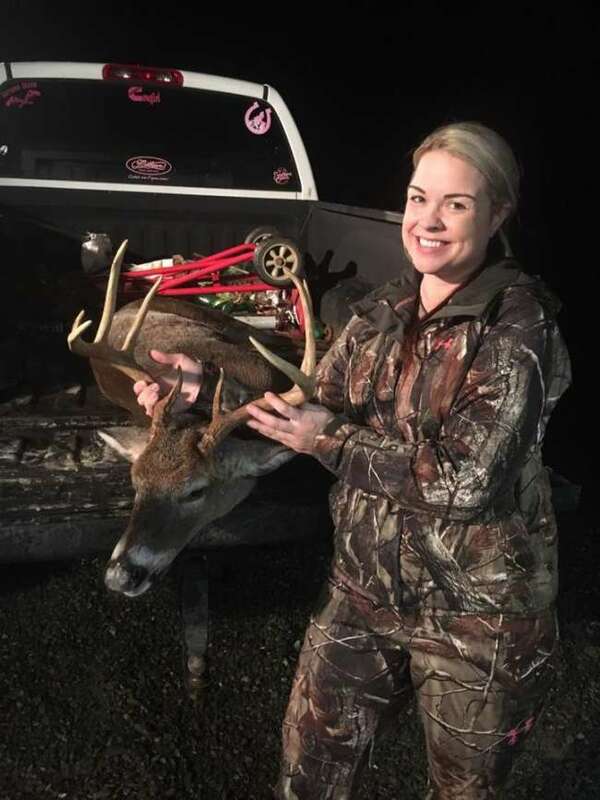 My Remington .243 helped me take the buck of my dreams. I honestly thought the deer could hear my heart thumping as I pulled my gun up. He wound up being 180#, 9 points, and scored 123. I got him in Stanly County but currently reside in Mount Pleasant, NC. Hopefully this is only the first of many more bucks on my future.